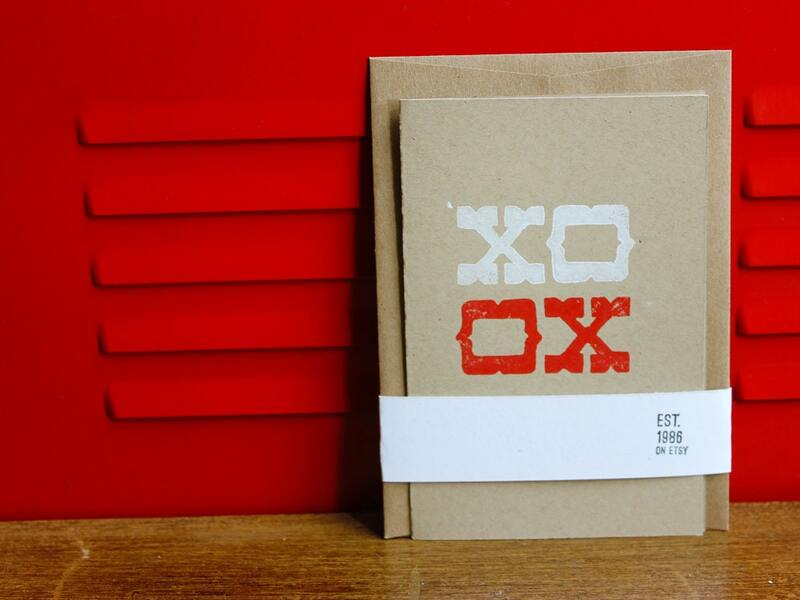 4x6" folded XO card with envelope. 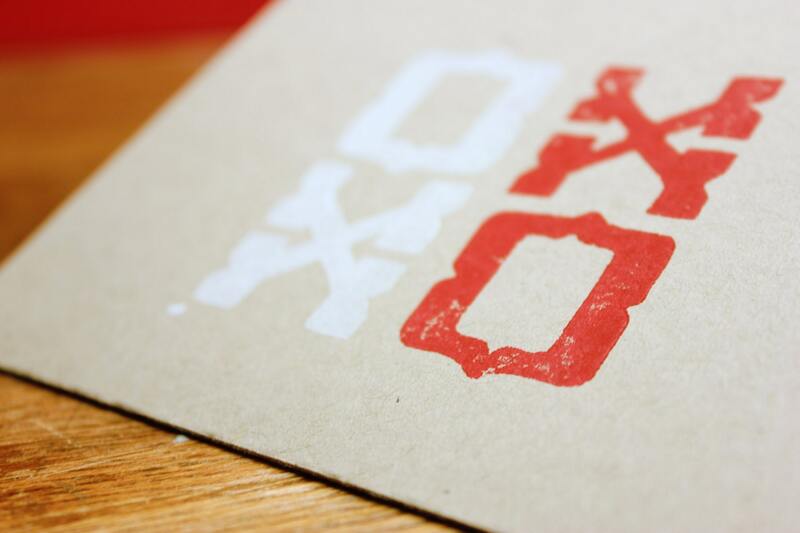 Cards are hand-printed 2-process linoleum block prints in red and white on 140 lb. Muscletone cover stock from French Paper Co. Block is hand carved. Inside is blank. 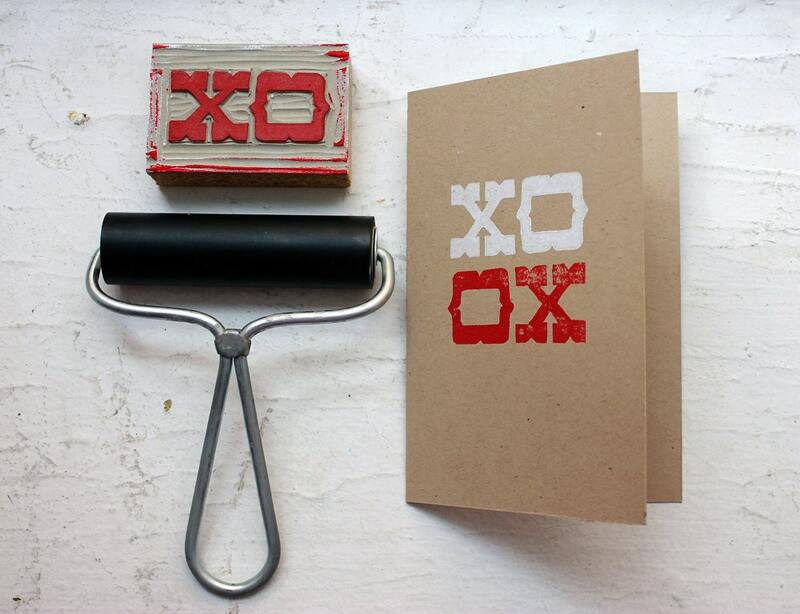 Each print is individually pressed by hand and will contain some unique imperfections. 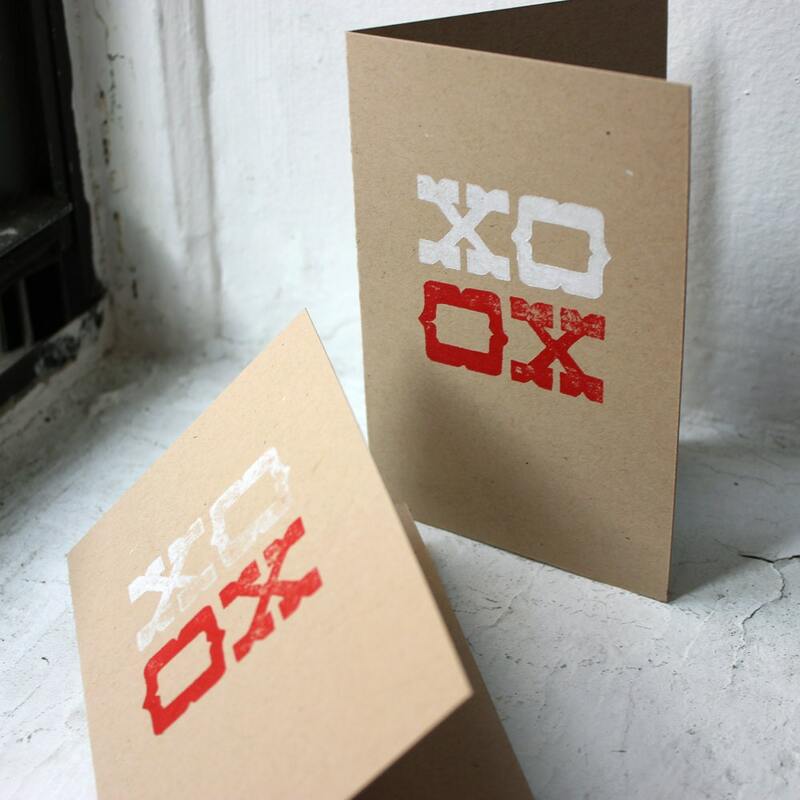 Great for anniversaries, love notes, or just to tell someone hello! Please contact me for larger orders. Paypal and Money orders are accepted. Items may be canceled within one week of order. Items may be returned at customers cost within 30 days for a full refund. Posters will be wrapped in a separate sheet of paper and shipped in a paper tube. Postcards/cards will be wrapped and shipped in a flat-rate USPS envelope. Larger orders will be shipped in small USPS boxes. Items will be shipped within 3 business days from purchase date (unless told otherwise) to avoid confusion if item is canceled by customer. All orders will be shipped USPS First Class Mail. US customers will receive an email with a tracking number once their item has been shipped. Damaged items may be returned or exchanged within one week of receiving. Please contact me describing the damage. Very good, I love the card! This is a beautiful card. My Valentine loved it!